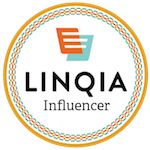 FYI….when I converted my blog from blogger to Self Hosted WordPress some of the photos didn’t translate. 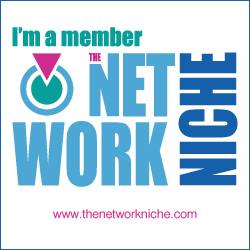 Bear with me…working on updating my past posts…THANKS! 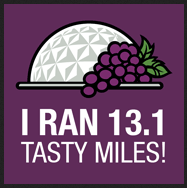 This past weekend I participated in the 2013 runDisney Wine and Dine Half Marathon for the first time. 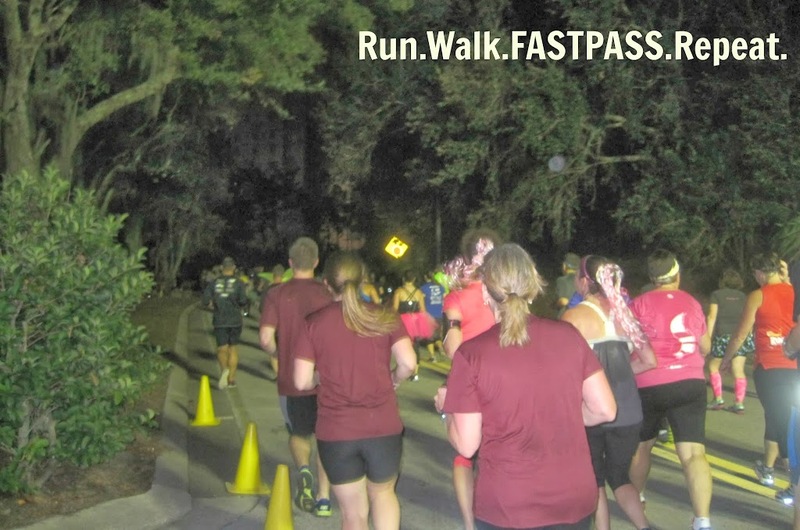 A night race starting at 10pm; it goes from Disney’s Wide World of Sports Complex to and through Disney’s Animal Kingdom Park, Disney Hollywood Studios, by Disney’s Boardwalk Area Resort and ends at Epcot. My goal for THIS race was to finish without injury. That is it. 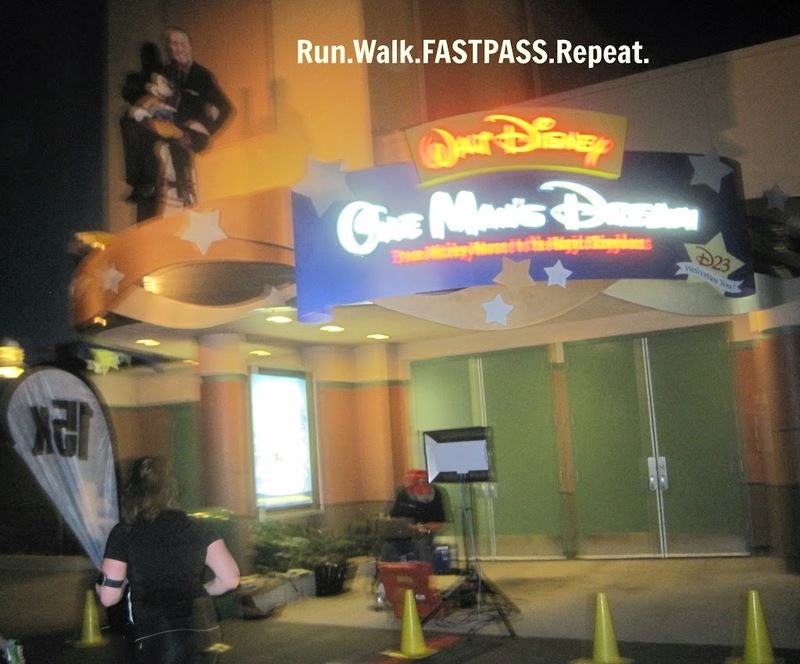 runDisney races are very entertaining and I just wanted to enjoy the race course and experience it all at my 1 minute run, 1 minute walk intervals. Confession time, I was under trained. I had done a 10 mile run, but not generally enough miles to feel good about the race. 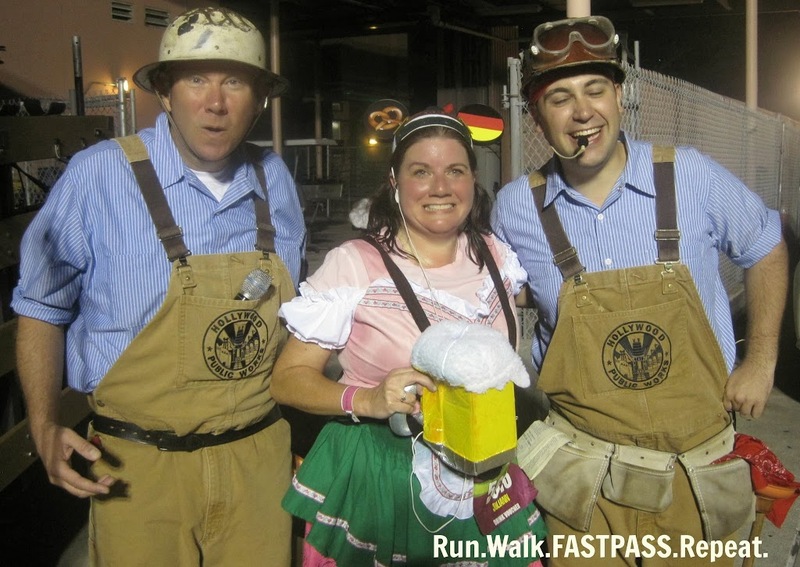 After the race, Epcot is open until 4am with an After Party. Rides are open and booths in from Epcots Food and Wine Festival are serving in the World Showcase. 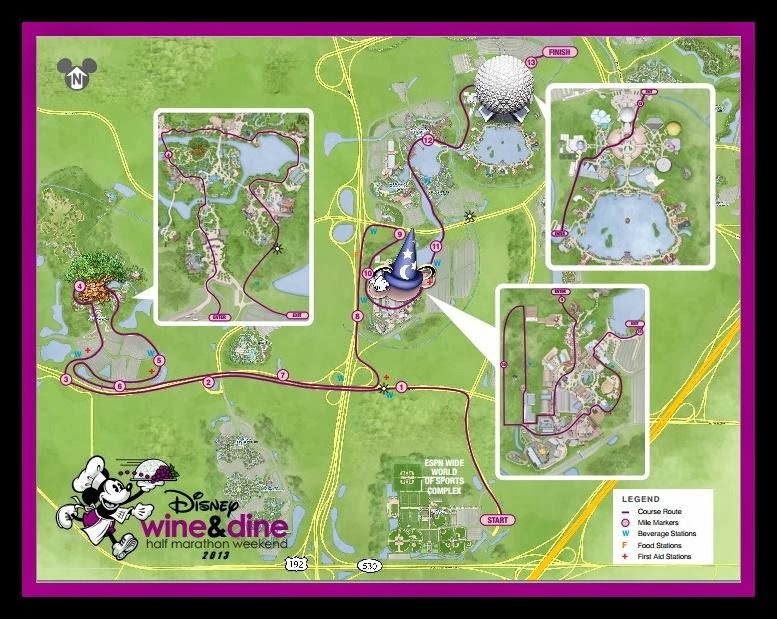 With race entry you receive a drink voucher for either a Beer (can Bud Light or Yuengling) OR glass of wine OR a soft drink (Coca Cola Products) AND a $10 Disney Gift Card – you can use it at party for food or later if you choose not to go. I was quite frankly wondering if I would make it to the party. The days leading up to the race, I was nervous: I had a hard time sleeping and my stomach was upset. I had no idea what to expect of a race that started so late and was wondering how to eat and rest up. Honestly, it was VERY hard for me to go to Walt Disney World and NOT experience a park a day, but I know my feet needed to rest up. My activity level leading up to race – included Friday Night at Mickey’s Very Merry Christmas party I wondered if it was too much. I ate a big breakfast with an omelet and breakfast potatoes as protein and carb fuel. For lunch we dined at Kona Cafe in the Polynesian Resort. I had Pot Stickers and a Vegetarian roll….so so yummy. We were celebrating Suzanne‘s birthday too and got the cupcake! Perfect choice for lunch, not too heavy and filling. I tried to nap on Saturday afternoon, but that did not happen. At least I was in bed for about an hour and a half or so. Dressed in my race attire and headed over to the buses which would take us to the start at 7pm. Yes, the race started at 10, BUT I was worried about traffic and well I would rather wait AT the start than on a bus in traffic. Plus I heard there were characters at the start for photos to help pass time. We arrived to Wide World of Sports to a very festive atmosphere. A DJ was spinning records and we danced as we waited in line for Chef Mickey. My DisBroad friends and I were dressed for the most part as the Countries in Epcots’s World Showcase. 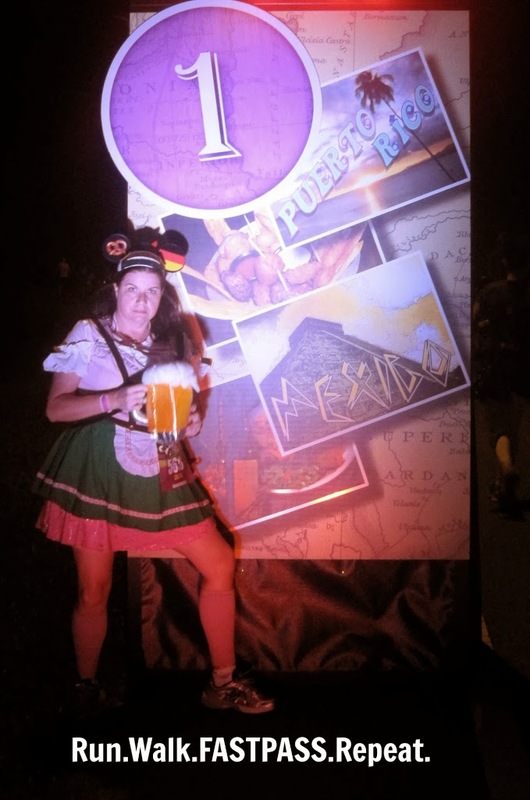 I was in a Dirndl complete with Mickey Ears,Beer Stein Purse and Mickey Pretzel representing Germany. 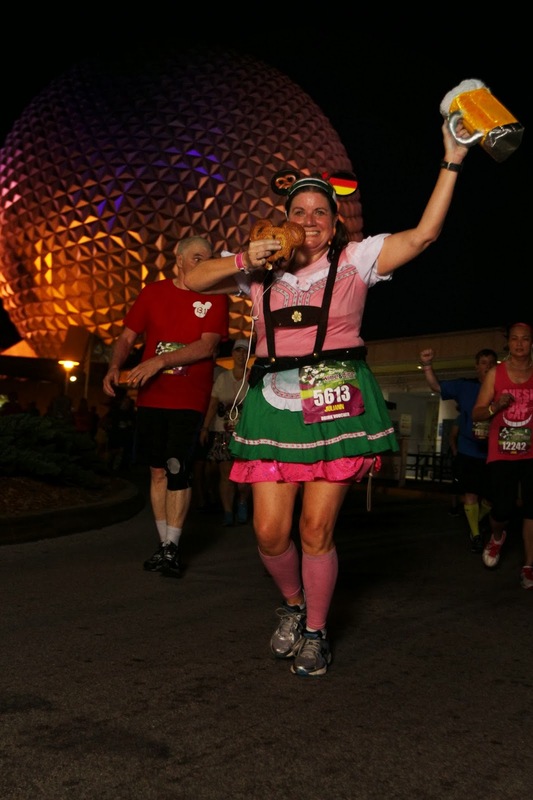 Oh Hey Look, DisBroads made the runDisney page….who is that fab girl with the Germany Ears? Bag check was a breeze, literally just dropped them off and headed to Corrals. Corrals went from A to L, and I started in H with Patty and her husband. The other DisBroads are speedy, so they were up ahead. The first mile was a little tight, but it did thin out eventually to a comfortable crowd before mile 1. It was dark being well 11pm-ish, so pictures were not great. Did I mention it was HUMID? Though temps were not that bad in the 60s and no sun, plus there was a breeze, but I sweated like a working girl in church as they say. The first few miles…..not much going on. I think we were around mile 2 when we saw the leader coming back from Animal Kingdom…he was BOOKING and about 4 miles ahead of us. From the start its about three miles to Animal Kingdom Parking lot. You do encounter some Walt Disney World hills also known as overpasses. The road can get kind of banked too when going around a corner…I did not like that, but otherwise the course was fine. Kept it slow and steady. Running through Animal Kingdom was kind of tight, so we basically were forced to walk as the path narrowed. It was decorated for the holidays which was quite cheery! Everest was Dark and looming and they piped in some Yeti speak audio for the full effect! Characters I recall up to this point, though I wasn’t stopping, were the Country Bears, Fantasia Hippo, Timon, Rafiki and the Pirates…I am sure there were more. Just as we left the park we ran by this little lake and the reflection of runners and lights in the water on the other side took my breath away. This is the beauty of being slow, you can see so much that is missed by car rides. I seem to always find something amazing to look at on longer runs to cheer my spirits. runDisney if you are reading this, send a pro photog out to that lake because it was truly a great shot. Alas, here is what I got LOL. 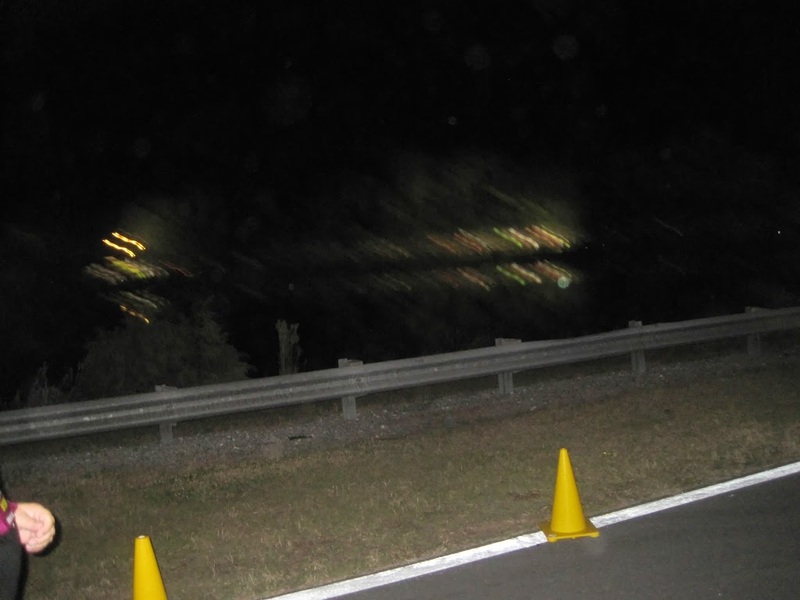 Cursed night races and cheap cameras! I think the actual view was as good as the Chariots of Fire running on the Beach scene…no joke. Patty told me that my walking was pretty fast and that if I felt the need to leave her, it was OK – she did have Rob. 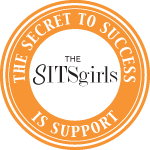 I put on my headphones and plugged into the ipod….Sting’s new album The Last Ship started playing, while many songs not exactly upbeat in tempo, I found myself in a very comfortable pace with my old love Sting. My feet were hurting a little probably due to the combination of banked roads and Animal Kingdom concrete paths – you know I loved my packed gravel so easy on the feet, not used to concrete. I decided to go the rest alone shortly after mile 5 and if they caught up to me great or if I dropped back I would have someone. On the way to Hollywood Studios, not too bad crowd wise. Next thing I knew, I was approaching Hollywood Studios – this is around mile 9 and these guys welcomed us to the park. 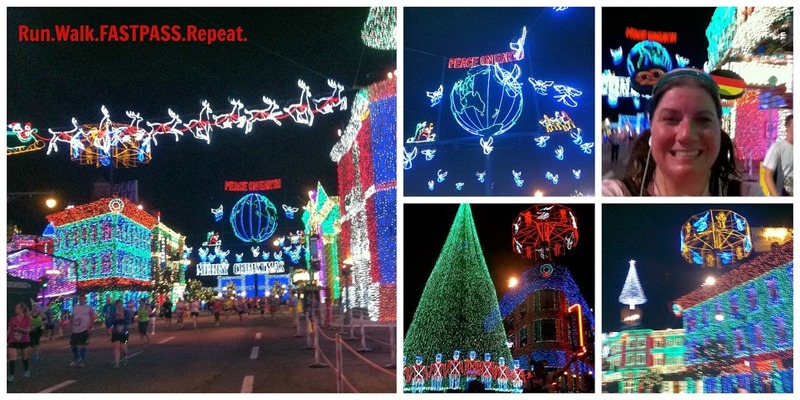 I LOVED that we did 3 miles in and around Disney Hollywood Studios. Though there was one stretch behind food service that kind of stank, but it was short. Forget that, here are some highlights…. 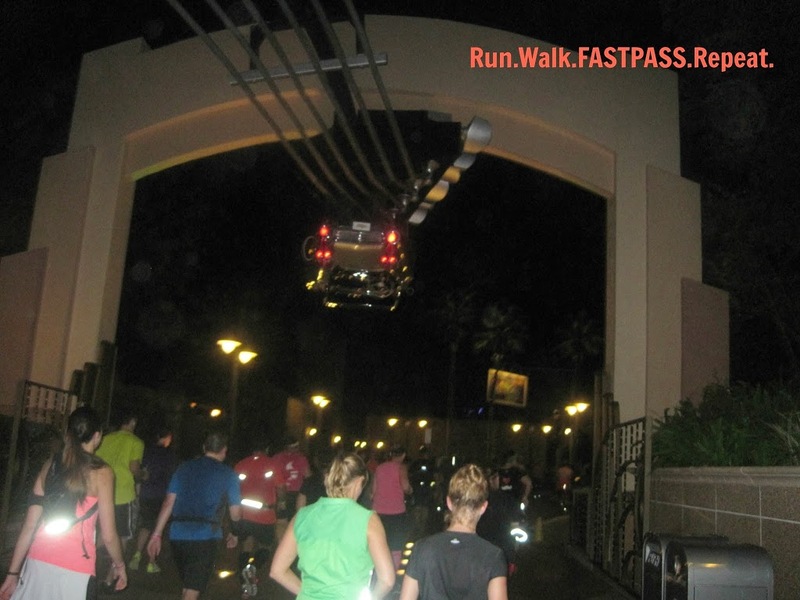 Or running by Rock N Roller Coaster…. 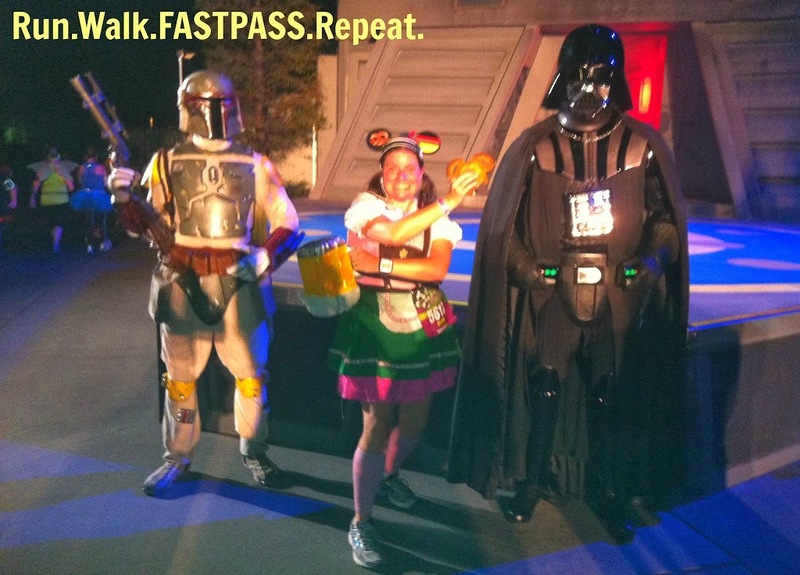 Getting my photo with Lord Vader and Bobba Fett…remember how much I LOVE Star Wars? While I thought this was the most fun part of the race, trouble reared its ugly head….rather, calves. Starting around mile 10, I would have one calf cramp up on my run intervals. I had been hydrating along the way doing a water – Powerade rotation at the water stops. I had eaten 2 bananas during the day and had been using my Gu as per normal. I stopped and stretched too; but the cramping continued. As I hit the path going towards the Epcot resort area, I had to walk most of it. Any time I tried to run, BAD cramping. When I got next to Beach Club Resort my phone hit the resort wifi and I got a text….it was from Mr RWFR, “Don’t Get Swept“. He had been monitoring my splits via text messages I set up and between the 2 character stops, bathroom break, stretching and walking through the lights….I had a SLOW time in the studios, but so worth it. Made me smile to think it was 1:30am and he was following along at home wanting me to finish on my own and not FASTPASS a ride on the bus to the party. I LOVED this stretch of the race. There were a few people still out with signs……thanks so much spectators, it was late. I was kind of bummed about not really being able to jog…and then I saw a friend cheering on the runners… Peggy Sue. She gave me a Starburst AND offered me a cold towel. Her daughter runs the races and she is ALWAYS at the end to cheer us on – I “met” her at Princess Half . I cannot express enough how wonderful it was to see a friend. She is the lady with the “Hello Complete Stranger, I am so proud of you too” sign at each Disney race. As we approached Epcot, I knew I would make it. Way slower than I had wanted but was happy I didn’t end up on the “Parade Bus”….which were how the buses were marked for people falling below the minimum 16 minute mile pace. As we ran into Epcot, the after party was in full swing as it was almost 2am. I held up my pretzel and stein and people were commenting and laughing. I missed the Gospel Choir we have at the end o the Princess race, but the finish line never looked so good. 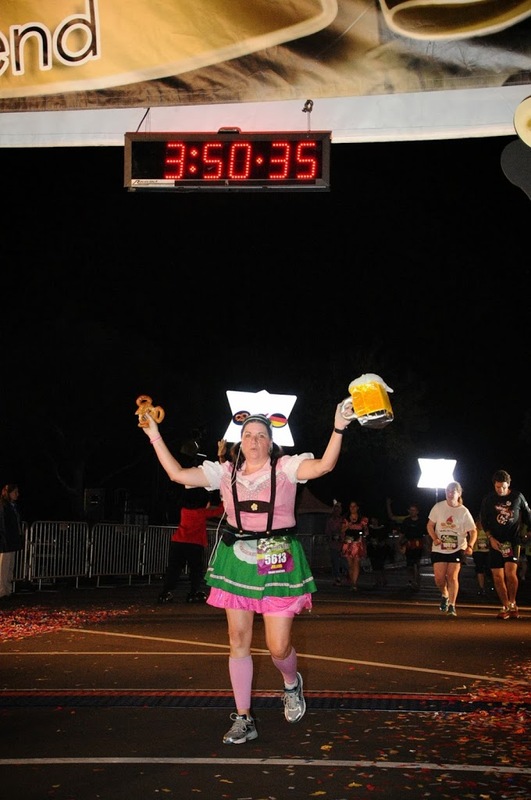 I went to hug Minnie Mouse and crossed the finish line triumphantly with my Pretzel and Stein raised. I got my medal, and headed to medical area to self apply Biofreeze on the calves. 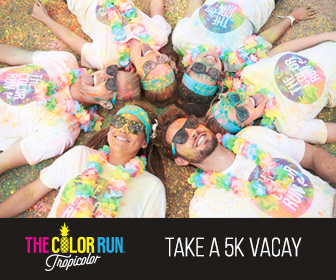 I saw many people not looking so hot and a few that were puking – in the parking lot, the park, all along the way. I headed to meet my friends who had finished and then recieved a text from Bonnie: “Congrats on finishing” she had been getting alerts too. Awww….I just love her and made me feel like I wasn’t alone. I met up with Tania and Kristen, we headed to Canada for our petite filets and Patty texted us a picture of herself laying in the parking lot…she had finished too. April and Amy were WAY over in Germany enjoying the party. YAY all the DisBroads had made it! Beef, its whats for dinner at 2:30am. The beer, I had a sip and thought “Yeah better not” and tossed it. We started walking towards Test Track and while I didn’t feel horrible, I felt off and thought I can’t ride any rides – sadness, no lines too. The DisBroads with me decided to head on back to the room. and I got in just at 4am. Initial thought was one and done, I was beat…..but the next day, I knew I would want to come back. Loved the race and the course and running at night, it was fun. I didn’t feel like I was out there as long as I was. 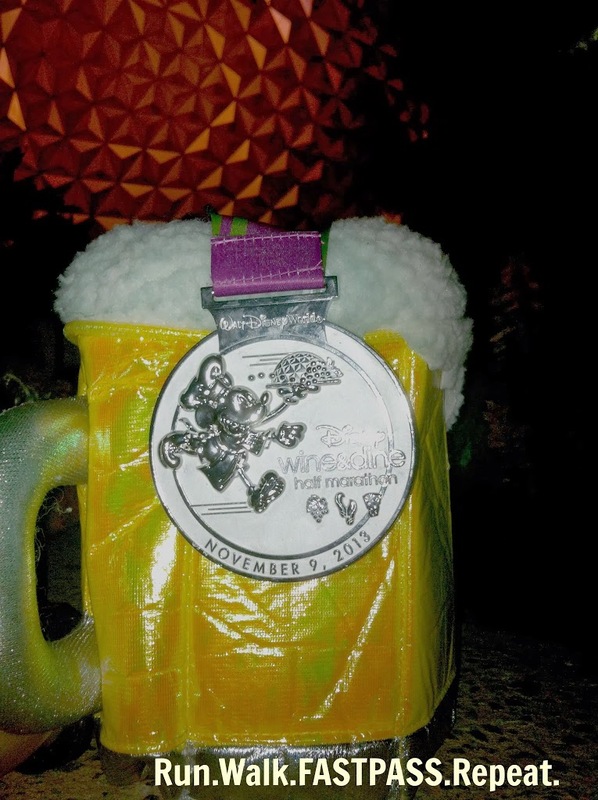 Oh and I LOVE my medal too….brought it home in the #WineDineHalfStein. My official time 3:31 and some change… I averaged a 16 minute mile. Am I happy about that, not really – that is slow for me, but it was humid so I was smart to keep it comfortable and really my goal was to just finish. I WAS happy that in my sweatfest run using Body Glide AND Skin Strong for the first time – spots all over my body, I had zero chaffing and no blisters. THAT shocked me. I was lucky I didn’t hurt myself with my sporadic training….not going to repeat that again. GURLLLLL, you look tired. Happy but tired! It was a blast and I can’t wait to try this race again! Thanks runDisney for a fun event, thanks DisBroads for a fun weekend, thanks to Mr RWFR who held down the fort at home and encouraged me to enjoy my solo trip and race, thanks to Peggy Sue and all the spectators who cheered us on, thanks to all the amazing volunteers and finally…thank you Bonnie for your end of the race text – little things mean alot. How does this sound to you? Would you be interested in taking on a half starting at 10pm? 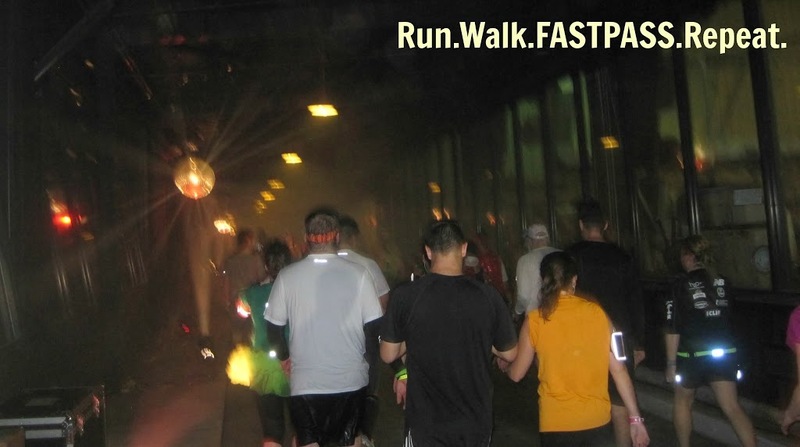 Ever run a night race? Congrats Julie! It was definitely hot and humid that night. It’s funny because I was in corral J and I heard them talking about your beer stein. I figured it was you since I had seen your costume pic on twitter before the race. I really wanted to hit the after party, but we were so tired and sore, it just wasn’t worth the walk to the world showcase. Hahahaha on stein talk….I am kind of a big deal LOL. 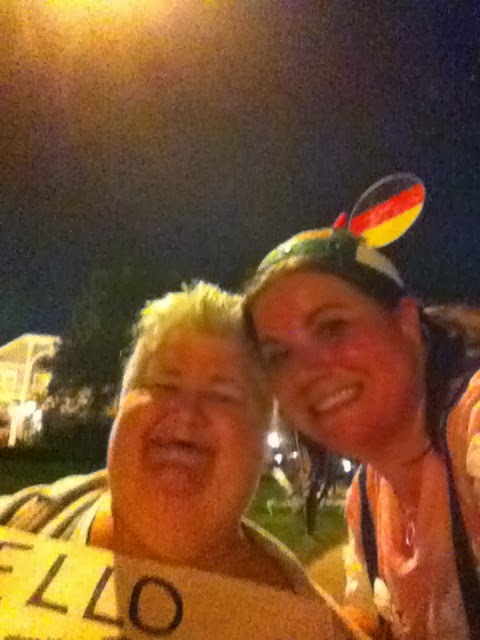 Actually I saw 2 other German Beer gals with the stein, though I was the only one rocking the Mickey pretzel. 🙂 My friends were in Germany I was like um, NO way I can walk over there and back. I am glad I walked some though to stretch out the legs. Great recap and congrats on having such a good race! Your costume was perfect! After changing after the race I went straight to Canada for some Le Cellier steak too, it was perfect. 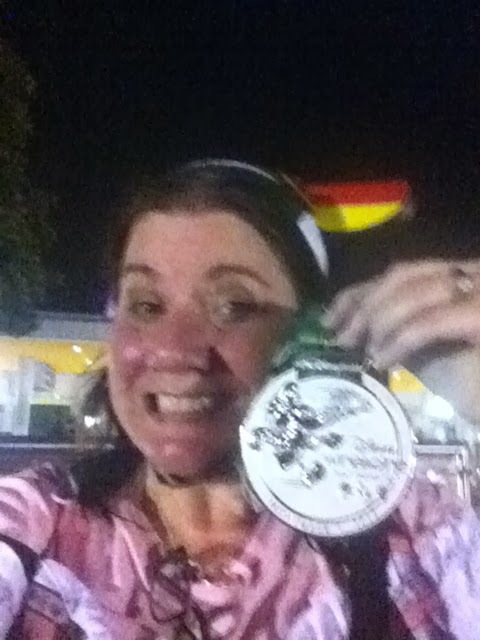 I thought this would be a one and done race for me too (night race and having to train in Florida’s brutal heat/humidity in summertime) but it was so much fun I bet I’ll be back for the 5th Anniversary! Yep….. the steak was nice. I loved running with my props, made it fun. Really didn’t feel like I was out there that long. Other than those banked curves, I enjoyed ever second…ok not so much the cramping either. 🙂 Hope to see you there next year! Congrats Julie! Love all of you pictures and you looked amazing. So glad I was able to meet you in person and got to hang out with you a bit. Had a lot of fun. Looking forward to seeing you at Princess. I agree, meeting my DisBroads was the best part…..PRincess will be a blast! Aw thanks S! 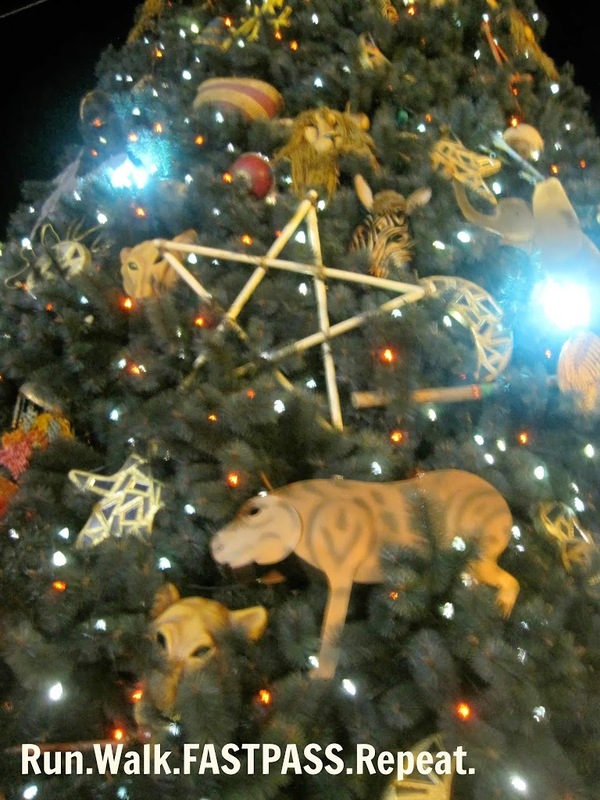 It was so much fun….really loved every stinking second…even the area behind food service LOL. This is a GREAT race. Congrats Julie! You finished and that’s all that matters! I absolutely loved your costume! Thought it was the best one out there. And I loved hanging out with you! You are so much fun! Really Bonnie…your text…..really pepped me up! Thanks I had a blast with you roomie! Love the recap! I’m so bad at night races but reading all about this one makes me want to do it! Thanks Allyson, I am slow so not sure how I would like it. I went slower than normal due to cough cough lack of training…but I enjoyed every second…..well not the banked curves, but I made due! It was fun! I loved the course.